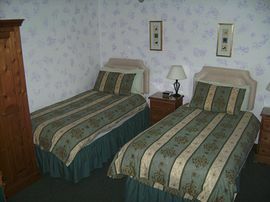 Erick & Heather are pleased to offer you a very warm welcome to their Guest house. 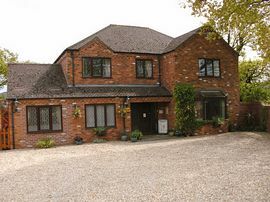 We offer very comfortable B&B (bed and breakfast) accommodation in North Hykeham, Lincoln, Lincolnshire, just off the A46. We are ideally situated for easy access to both Lincoln and Newark and Eagles Guest House is only six miles from the historic Lincoln cathedral. 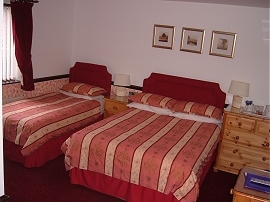 The tastefully decorated rooms have New bathrooms, TV, hairdryer, tea/coffee making facilities, alarm clock/radio and are all en-suite. A full cooked English breakfast, French breakfast, Kippers, vegetarian or gluten free breakfast is included in the rates. 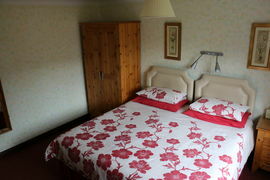 Eagles Guest House is within walking distance of pubs and restaurants. 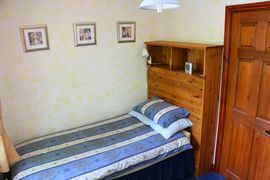 There is a Golf range and leisure facilities nearby. Check in from 3.00pm until 10.00pm. After 10.00pm EGH is CLOSED. Check out time 9.30am week days / 10.00am week end. Early Check in from noon available at £5 supplement. Check terms and conditions. Pet Facilities: Pets are not allowed. No pets allowed. Smoking Facilities: Smoking is not allowed. Premises absolutely non smoking. Vegetarian breakfast. Gluten free breakfast. Vegan. "Very friendly and welcoming, second to none!" Take A1434 signposted "Lincoln South, South Hykeham, North Hykeham" The house is 0.5 miles on the right of the road, 200m after the "Jet" gas station. There is a wishing well lit at night on the grass verge.